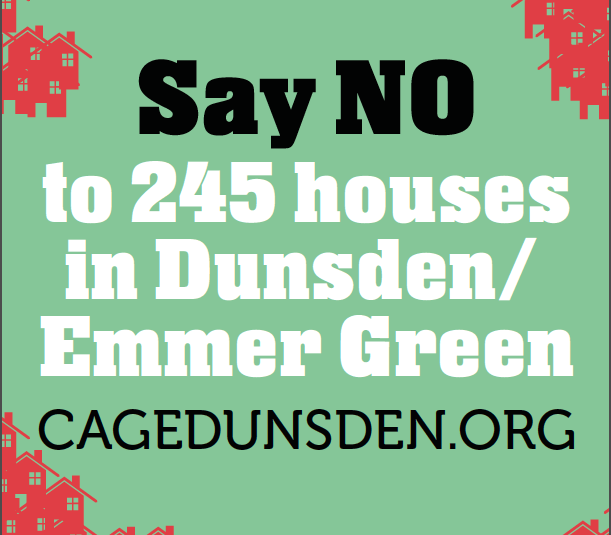 CAGE (Campaign Against Gladman in Eye and Dunsden) is an alliance of local parishes and residents groups united in their opposition to the Gladman proposal for 245 houses in Eye & Dunsden. The group now has its own website and Facebook page which provide the latest information. Despite incorrect information on the SODC website, comments are still urgently needed on the detrimental planning application. We wish to object to the proposed development for 245 homes in Emmer Green/ Dunsden on envirolmental grounds. Extra traffic concerns and the lack of existing infrastructure eg schools ,doctors.